Extra fine dark chocolate with sea salt. Enliven your senses with the ultimate chocolate delight, Lindt Excellence. With this range you will discover the expertise and craftsmanship of our Master Chocolatiers in blending the most aromatic cocoa beans with the finest ingredients to create an exquisite and refined chocolate of intense flavour and elegant texture. Excellence dark with a touch of sea salt. 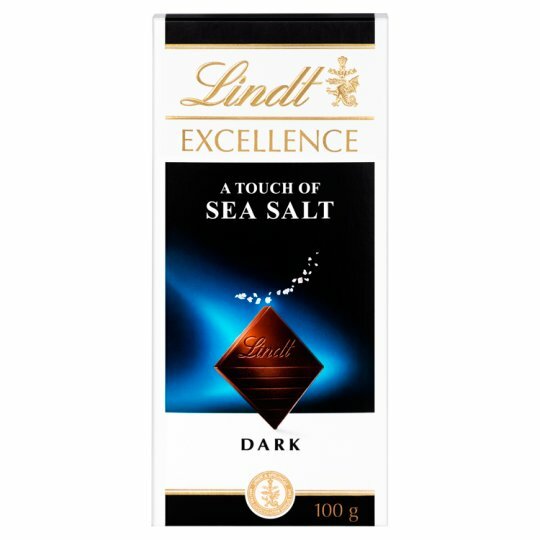 A delicious blend of silky dark chocolate enhanced with just a touch of fine crystals of hand harvested sea salt. This dramatic combination will surprise the palate as the salt accentuates the flavour and the sweetness of the cocoa.